Drake Maverick narrates a recap of last week’s matches. He also talks about tonight’s match between Cedric Alexander and Hideo Itami. Very good match. This felt like it got more intense as it went along. Dar wanted the win badly, but Nese seemed to take Dar lightly at first. Nese started to get more serious, but he also started to take a lot of time to try to punish Dar. That would cost Nese in the end. On behalf of Akira Tozawa, The Brian Kendrick reads a letter for the audience. Tozawa’s letter says he is competing in Japan this week in order to further hone his skills so he can defeat Buddy Murphy. Kendrick then says that he is going to do everything in his power to ensure that Tozawa is the next cruiserweight champ. Drew Gulak tells Drake Maverick that he and Jack Gallagher have compiled a list of candidates for Maverick to think about hiring. Maverick thanks Gulak and Gallagher, then promptly drops their binders of candidates as they leave. Maverick then welcomes Mike and Maria Kanellis. They’re upset that Mike hasn’t competed on 205 Live in five weeks. Maria tells Maverick that she hopes the new faces he plans to bring in are willing to fight as hard as herself and Mike. Lio Rush says Kalisto didn’t win last week, Lucha House Party had to cheat to beat Rush. Rush won’t let that stand. Great match! Itami rocked Alexander early with some hard strikes. Alexander looked to be in trouble from then on, but he persevered and managed to give Itami a fight worthy of a championship match. Itami had to get increasingly brutal as the match went along. The final few minutes of the match were great, and there was a moment when the intensity picked up considerably. Kayla Braxton asks Buddy Murphy who his biggest threat will be on Sunday. Murphy says his opponents are all talented, but they are sheep. Murphy is a wolf. Murphy is headed to becoming the best cruiserweight champ of all time. With that, Murphy issues an open challenge for next week to anyone who can meet the 205 pound weight limit. This was another great show. 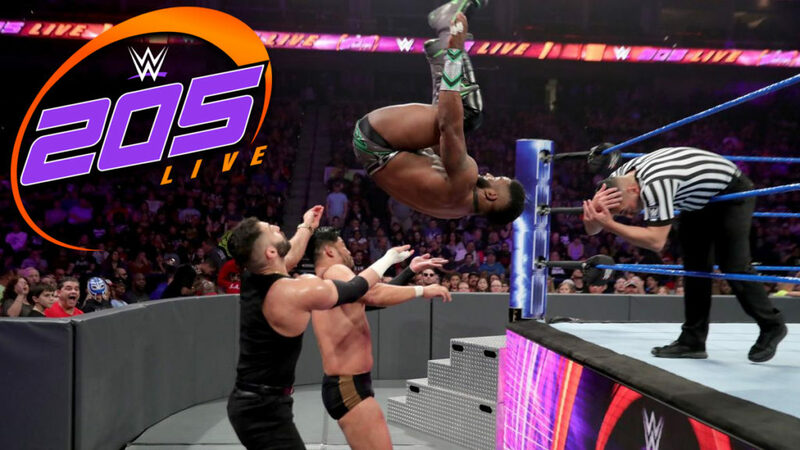 2019 is starting off strong for 205 Live. This was a battle, and I loved it.